When you get tired of eating the same old, same old all the time, sometimes a tiny bit of effort will pep things up. 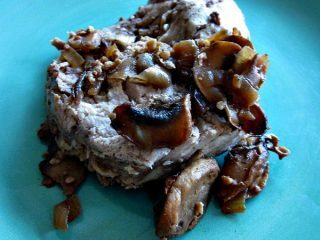 This balsamic mushroom topper would be delicious on chicken or beef as well, but I use it to dress up pork chops. If you haven’t used shallots before, they’re small, brown onions that have a fantastic flavor. They make anything taste special! This easy meal goes great with mashed potatoes, rice, or any other sides. Heat oven to 350 degrees. Season pork chops with salt and pepper and lay in sprayed 9x13-inch baking dish. Set aside. Melt butter with garlic in a saucepan. Add mushrooms and shallots, and saute for 4-5 minutes or until just tender, stirring frequently. Remove from heat and stir in vinegar. Spoon mixture over pork chops. Bake 20-30 minutes or until internal temperature reaches 160 degrees. 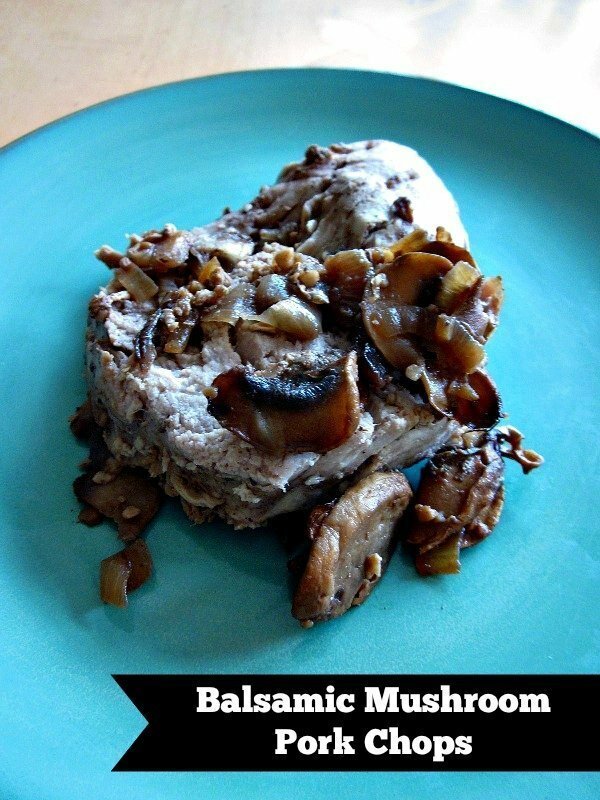 This Balsamic Mushroom Pork Chops recipe is linked up to Gluten-Free Wednesdays at Gluten-Free Homemaker, Slightly Indulgent Tuesdays at Simply Sugar and Gluten Free, Friday Food at MomTrends and Tasty Tuesday at Balancing Beauty & Bedlam.